At Aaron Waxman & Associates we understand you are going through a difficult time as a result of a physical or psychological illness or injury. When you hire a lawyer from Aaron Waxman & Associates, you know your case is in good hands. Our firm only represents those who are ill or injured and we do not do any work for insurance companies. Having a lawyer who will take the time to explain the steps of the legal process to you, what certain legal terms mean and your rights and obligations as an insured person will make the process less intimidating. One of the most important decisions a person can make after being denied any type of disability benefits is choosing the right lawyer to represent them. Choose a lawyer who will be there for you, who will understand the complexities of your case, and who you feel comfortable contacting if you have questions. At our firm, we only get paid when you get paid. There are no upfront fees to worry about or monthly bills over the course of your case. We are on your side. 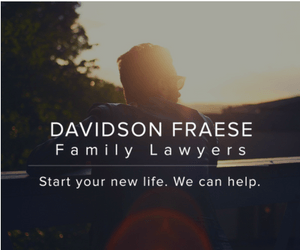 Our skilled Calgary divorce lawyers know that this is your life and you are the one that has to live with the results of your file. While the major decisions should be yours to make, we will give you our professional opinion along with the reasons behind them. We want to help you make the best decisions for you and your family while delivering an efficient, cost-effective resolution to your legal issues.